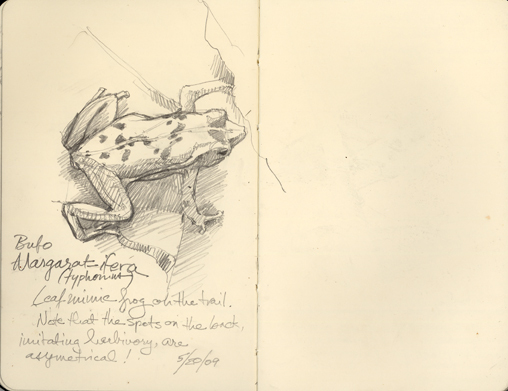 Leaf-mimic frog on Barro Colorado Island trail has asymetric spots to look more natural. 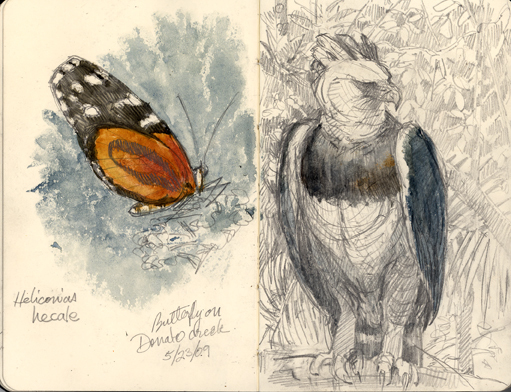 a Heliconia butterfly, and a Harpy eagle. BCI and Gamboa, respectively. 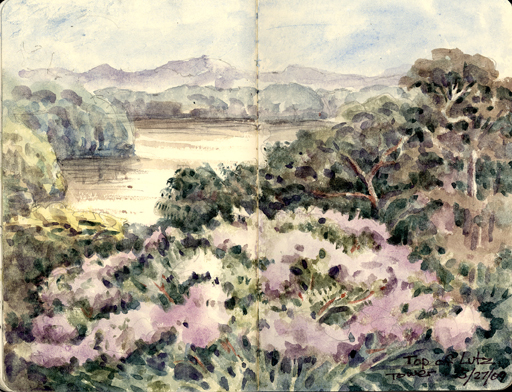 BCI Lagoon and a view of Slothia island, sketched from the BCI balcony, or “bar”. 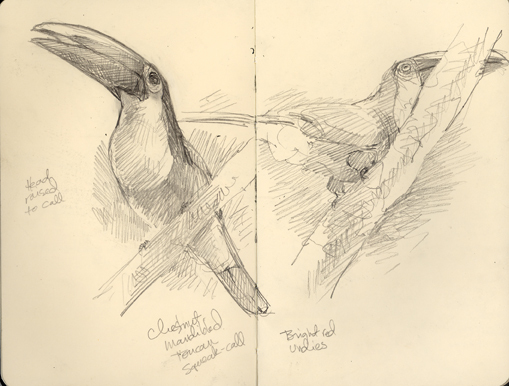 Keel-billed toucans pose and croak from the canopy. BCI. Harpy eagle waits out a downpour in a flight cage in Gamboa. sunlight beaming through canopy plants. Note the spores on the back of the leaves. The loooong wait in the Miami airport. Contrasts in wild life. 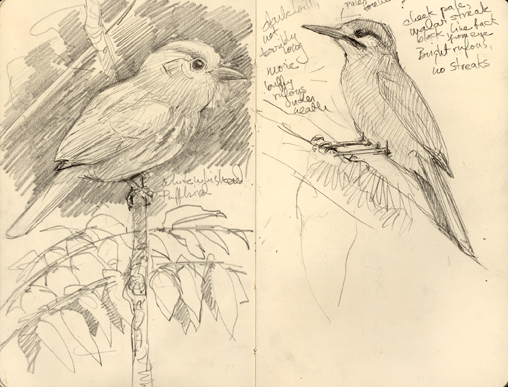 A whitewhiskered puffbird, and a plain brown woodcreeper. 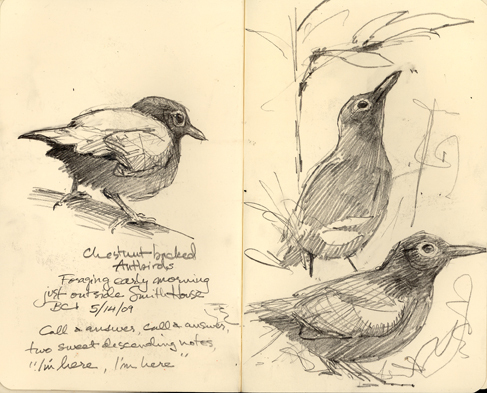 Drawn on BCI and in Gamboa, respectively. 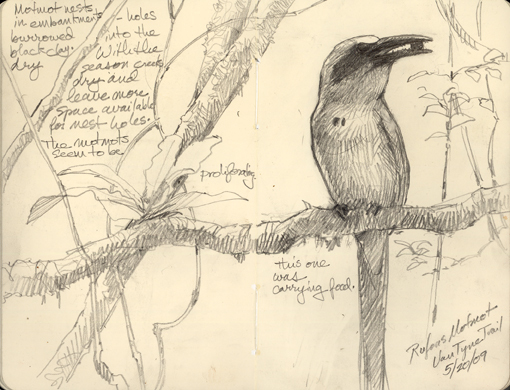 Courtship of the Rufous motmot, deep in the forest on BCI. 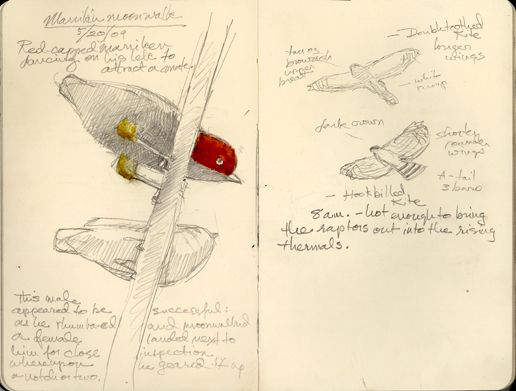 Redcapped manikins, male and female, male moonwalking. 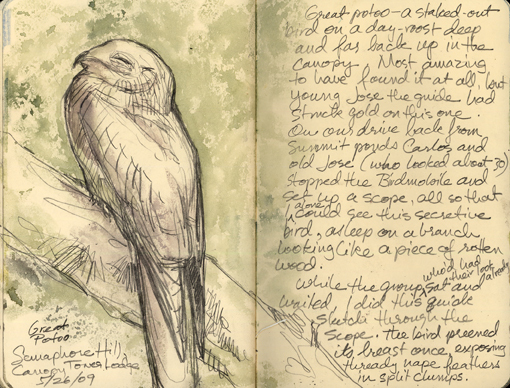 Second page: soaring raptors up above: double-toothed kite and hook-billed kite. BCI. 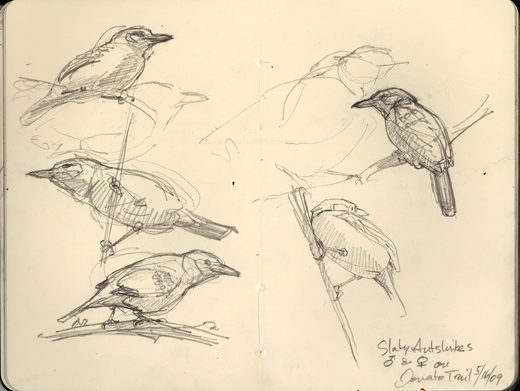 quick sketches of western slaty antshrikes, BCI. 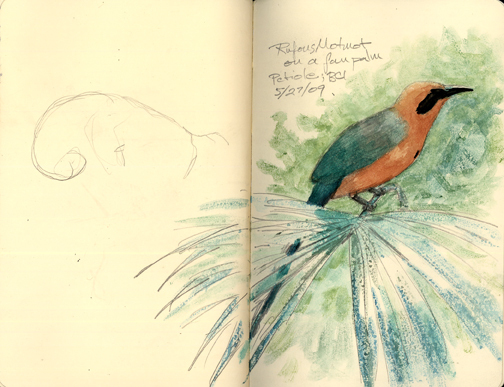 Rufous motmot perched on a palm leaf in the understory. See how long the tail is! 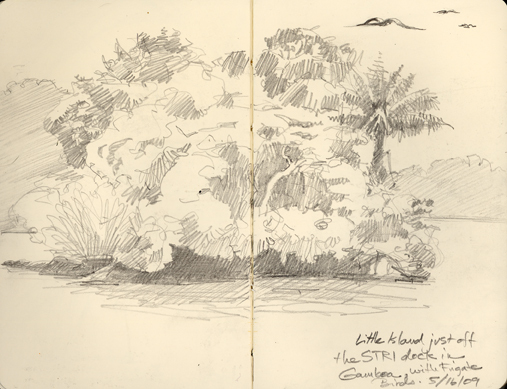 Little island just beside the Smithsonian’s boat dock in Gamboa. 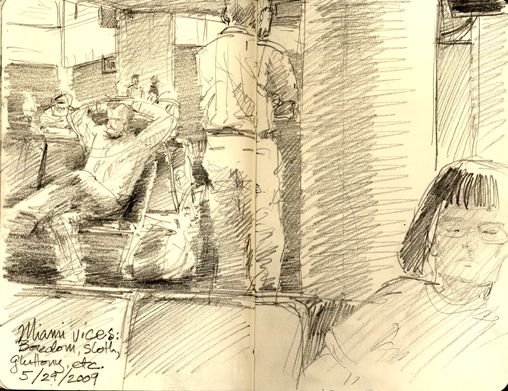 Sketched while waiting for the arrival of the water taxi back to BCI. Frigate birds floating overhead. 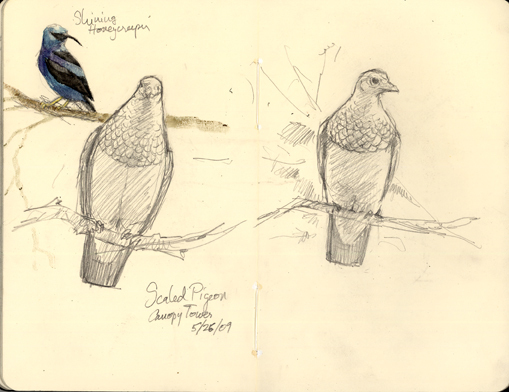 Scaled pigeon and shining honeycreeper, drawn from the top deck of the Canopy Tower Lodge in Gamboa. 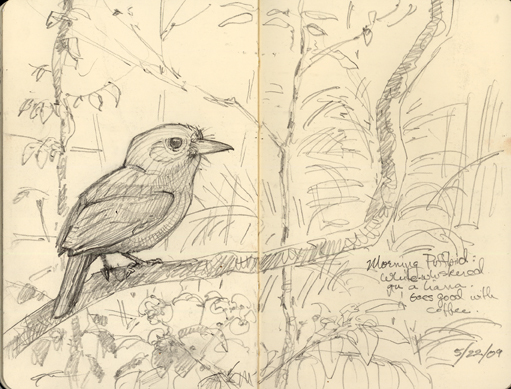 An afternoon birding at the Summit Ponds in Gamboa with Carlos, a guide from the Canopy Tower Lodge. 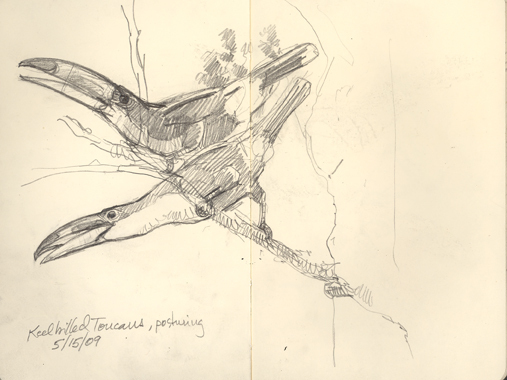 Anhinga drying its wings, Ringed kingfisher fishing, and a boat-billed heron looking solemn and serious, with huge nocturnal eyes. 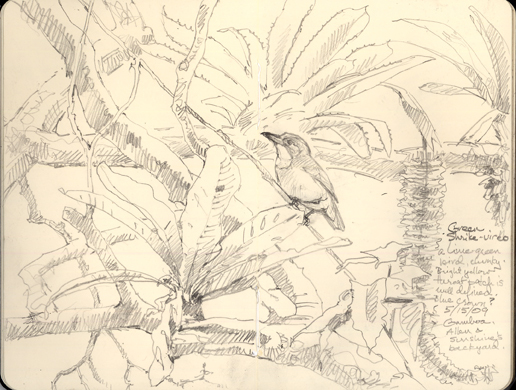 A rufous motmot carries food to its young, in a burrow somewhere in a stream bank. More from Summit Ponds, Gamboa. 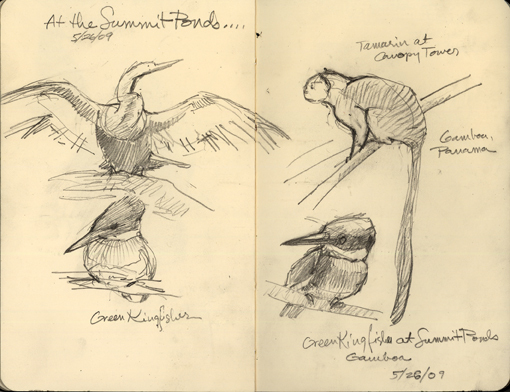 Anhinga in a classic pose, green kingfishers and a geoffrey’s tamarin. Keel-billed toucan and Geoffrey’s tamarin mother and baby. 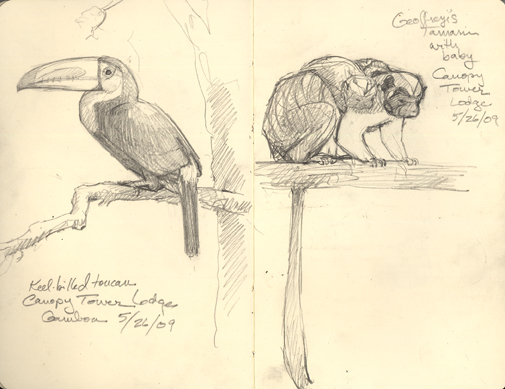 Drawn from the top deck of the Canopy Tower Lodge. 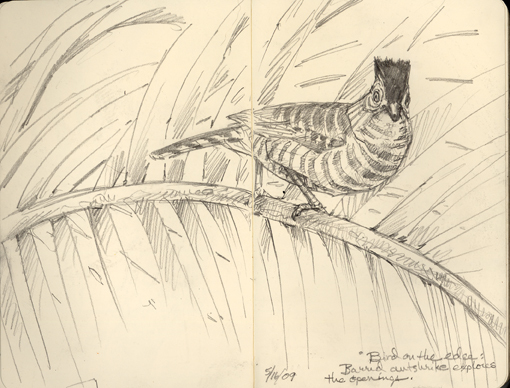 Barred Antshrike shows its stripes. Gamboa. 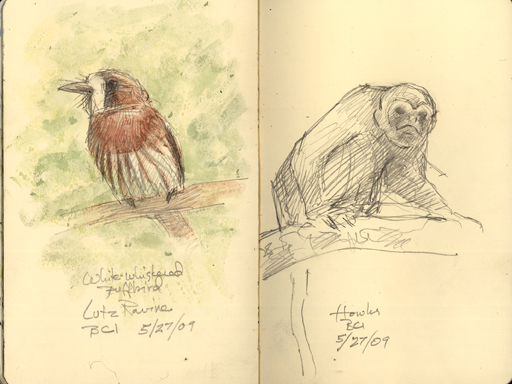 Whitewhiskered puffbird and howler monkey. BCI. 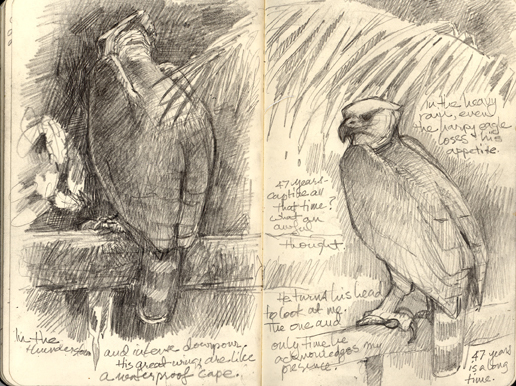 Harpy eagle tearing apart dinner. Captive bird in Gamboa. 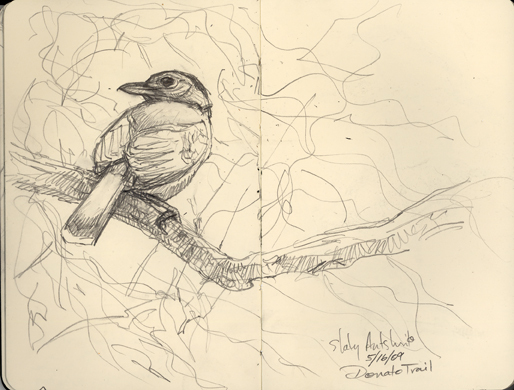 Green Shrike-vireo forages in the branches of a Gamboa tree. This is a book I would buy. You should have this published!!! Yeah, I’ll echo that thought. I’d buy this. Ditto, ditto, ditto!! Wonderful, lively drawings! Wonderful sketches and watercolors! I’m really amazed that you’re able to portray both animal and vegetable life so well. They can be very different and need almost a different skill, especially in the large vegetative masses such as the little island behind the boat dock. And of course, what has been my main question as these sketches have appeared over the last few weeks: Doesn’t that seam down the middle of your notebook drive you nuts?! Obviously not. These really are wonderful examples of what great work can come from working from life. Thanks all for great comments. Ken, the seam doesn’t bother me- I sort of think it works well with the drawing and lets you know “this is in a sketchbook”. 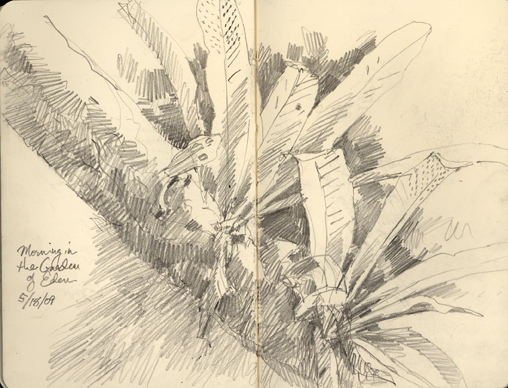 And I like having the extra real estate and not confining the drawing to one side or the other. Give it a try! 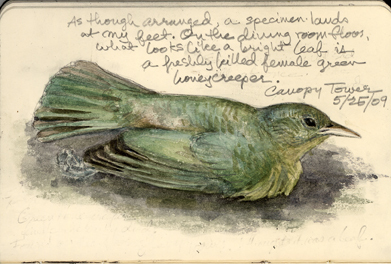 If I do a book, should it be a mystery, a gossipy tell-all, or a jungle bodice-ripper? 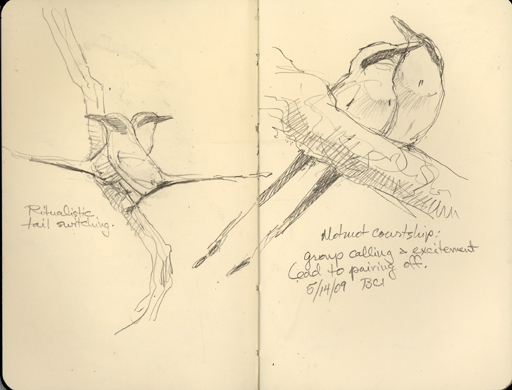 Yet more superb drawings Debbie. I’ve long been a fan, but these take the viewer on a breathtaking journey of pure delight and discovery – lovely, lovely work!!! Oh! – definitely the boddice-ripper, please! OK, Debby, you’ve convinced me! 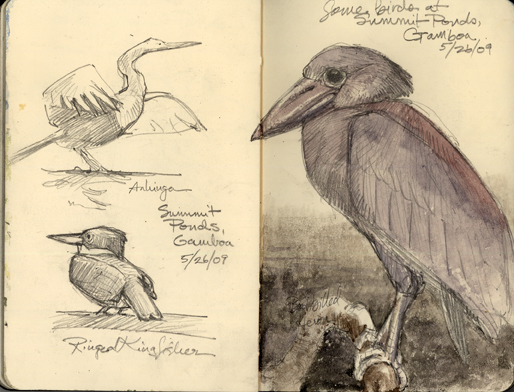 I’ve ordered a couple of the Moleskin watercolor books. One way or another I’m going to force myself to do more work from life………..
As far as the book my vote is for a mystery. There was a California author, Rebecca Rothenberg, who wrote about 3 botanical mysteries many years ago which I recall were very good. But I’ve never run across a high quality bird-related mystery. Great fun to see, Debbie! You’re an inspiration. WILL YOU BE SELLING SOME OF YOUR ARTWORK IN PRINT AT THE MUSEUM? Waiting to see more !! 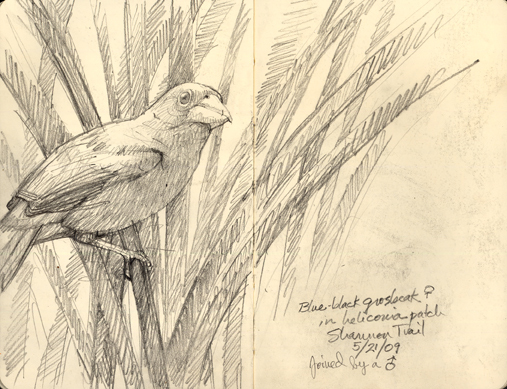 Wonderful sketches and commentary! 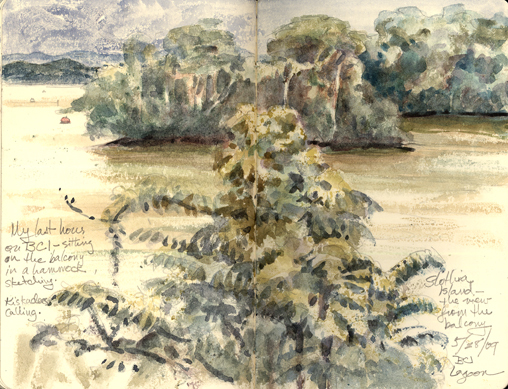 We are headed to Panama soon, and I am inspired by your beautiful work. Thanks! Hi I cant believe this.. it does not look like an art.. looks like photography or printed. You definitely need to publish this. Really Cool, where on earth do you get the inspiration from to draw these. CHEERS, Britto. 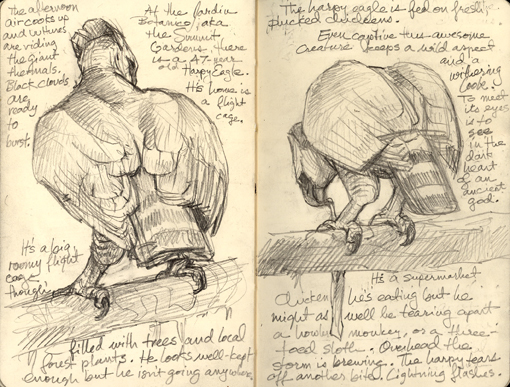 these sketches are awesome – you can really see the passion for the subject in your work – they feel alive – many congrats! You really have an incredible talent. Thank you for this amazing journey into nature.